Last week I picked up a pot (I guess you'd call it a pot?) of L'Oreal's new Magic Smooth Souffle Foundation. At $21.99 I'd say that is the most I have ever spent on a drugstore brand foundation, and at that it isn't even as big as your typical foundation. The industry standard is 30 ml, while the Smooth Souffle is just 20 ml. Anyhow, I was excited to give this a try. I bought mine at Shopper's Drug Mart and was a bit peeved right off that bat that there was no tester for every shade, particularly the shade I assumed would work for me. It seemed like they only had a tester for the lightest shade and the fourth shade (which looked like an average medium shade.) I tested a bit of the lightest shade on my hand, knowing it would be too light, but I wanted a little preview. I was a bit skeptical when my in store swatch resulted in an ashy mess that sunk into all of the lines in my hand. 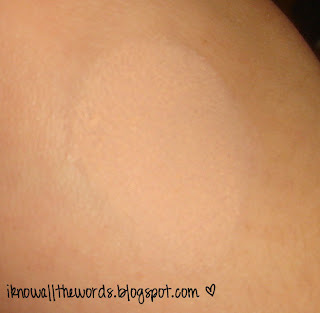 This foundation is like the name implies very smooth and almost fluffy in consistency. 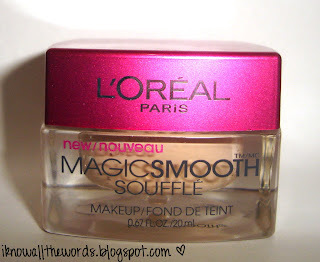 When you apply it to your face it is buttery and well, I hate to repeat myself...smooth. It blends super easily and is very light feeling. The first time I wore it I forgot to moisturize first and had a bit of cakeyness around my major dry spots (around my nose and mouth/chin) but I haven't had that problem when I am moisturized. I would say coverage is medium, but it could be built up if more is needed. It also doesn't require much product per application, so the pot size is less of an issue as well. I had read in other reviews that some people had issues with this foundation oxidizing and not being all that long lasting, but I have had no issues with the colour changing. 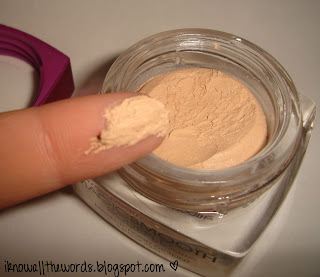 While I do set my foundation with powder, I will say that this isn't the longest wearing foundation. When I remove my makeup at the end of the day I can see that the coverage isn't as full as it was when I first applied it, but it isn't completely gone but that really isn't a huge concern to me. Overall, I quite like this foundation. Have you tried it? What did you think? 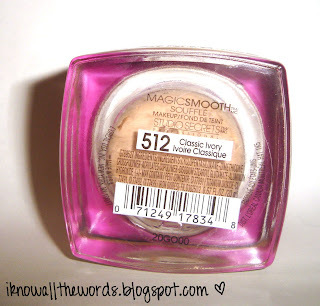 definitely VERY expensive for a drugstore product, how would you compare this to maybelline dream smooth mousse? about the same coverage? I would apply this with a brush like the flat top (all purpose brush for all my foundatons), but am afraid once it gets lower in the jar it would be hard to reach so you'd have to use your hands anyway. I'm curious, like Justine, how it compares to the Maybelline Dream Smooth Mousse too. The consistency sounds similar. Does it have a powdery finish? I'm so apprehensive about products that claim to have new/different/revolutionary cosistency (souffle?!). Also, that is sooo expensive for a drugstore foundation! I can't remember the exact price here but I'd say it's $12 max! The price difference is so unfair for you guys :( Great review, though! I haven't used the Maybelline Dream Mousse, but I have used the Avon Mousse foundations (they've had two out in the past 3-4 years. )It is pretty similar to those, but it is a lighter texture and has better coverage. I just ordered a flat top brush so I will definitely try it with this. Thanks! It does have a powdery finish, I think I am going to give it a try without setting it just to see how it wears. I know, major price differences. I was looking it up last week and kept seeing it on American sites from $11-$15.